Cloud-based Andon Software that integrates with your existing systems. 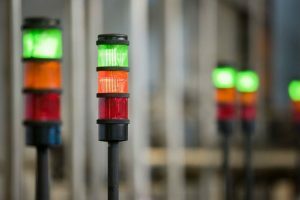 What is an Andon System? Andon (アンドン, あんどん, 行灯) is a manufacturing term referring to a system to notify management, maintenance, and other workers of a quality or process problem. The centrepiece is a signboard incorporating signal lights to indicate which workstation has the problem. The alert can be activated manually by a worker using a pullcord or button, or may be activated automatically by the production equipment itself. The system may include a means to stop production so the issue can be corrected. Some modern alert systems incorporate audio alarms, text, or other displays. 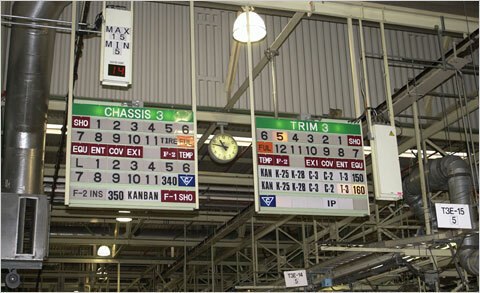 An Andon system is one of the principal elements of the Jidoka quality-control method pioneered by Toyota as part of the Toyota Production System and therefore now part of the Lean approach. It gives the worker the ability to stop production when a defect is found, and immediately call for assistance. Common reasons for manual activation of the Andon are part shortage, defect created or found, tool malfunction, or the existence of a safety problem. Work is stopped until a solution has been found. 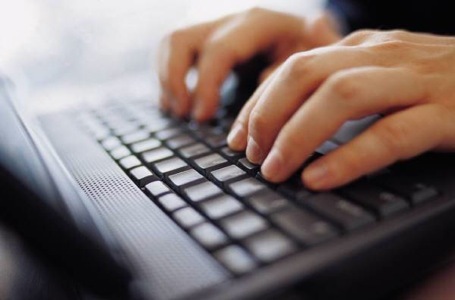 The alerts may be logged to a database so that they can be studied as part of a continuous-improvement program. The system typically indicates where the alert was generated, and may also provide a description of the trouble. Modern Andon systems can include text, graphics, or audio elements. Audio alerts may be done with coded tones, music with different tunes corresponding to the various alerts, or pre-recorded verbal messages. Usage of the word originated within Japanese manufacturing companies, and in English is a loanword from a Japanese word for a paper lantern. 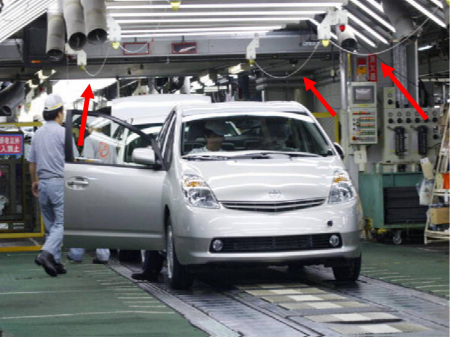 Toyota created the Andon concept as a tool for assembly line operators to notify other workers and supervisors of an immediate production issue. When a defect was spotted or created, an operator would pull an overhead cord to stop the assembly line and trigger a light or sound. This would signal over someone to help resolve the problem. The term Jidoka “building quality in” motivated Toyota to go through such lengths for quality assurance. Jidoka, Building Quality into Andon. Other companies have modified and added to the Andon concept to expand its relevance beyond the automotive sector. 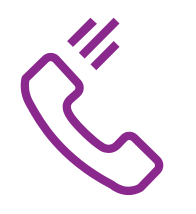 Companies have developed systems that allow operators to send signals specific to certain malfunctions. They have also enhanced visual displays to communicate to other operators and supervisors what and where the problem is. 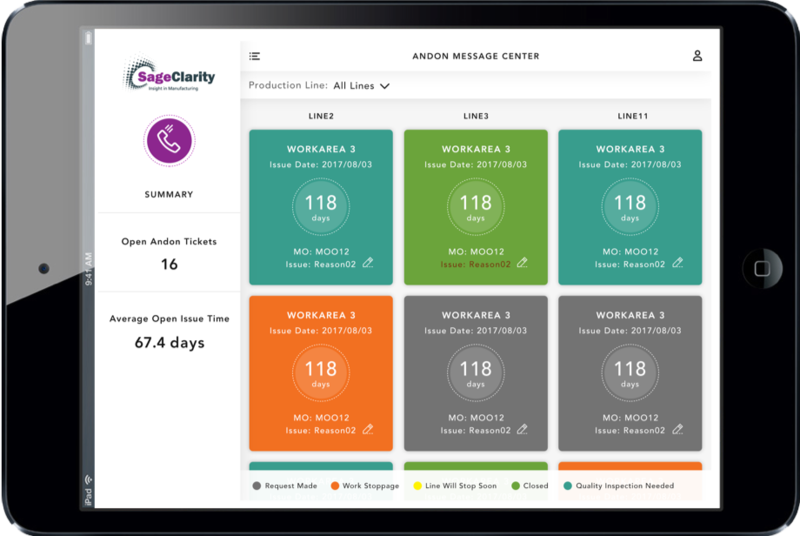 Sage Clarity builds on these innovations to bring customers a superior Andon notification system and help them incorporate “Jidoka” into their plants. 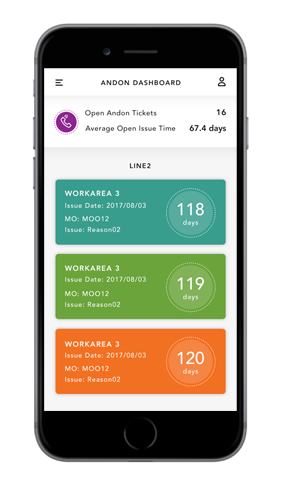 Open Andon tickets displayed by priority, color coded by status. 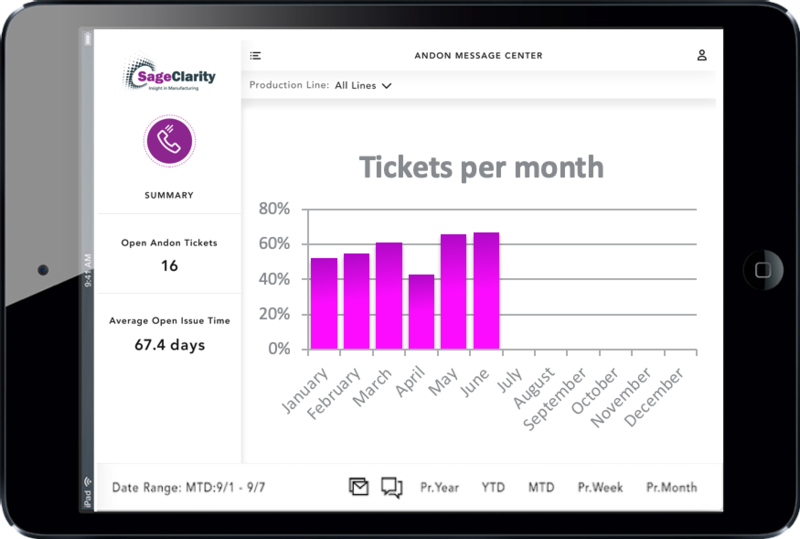 Andon tickets can be raised, viewed, and updated, all with just a few taps on the screen. Data can be viewed by line, area or plant, and is accessible from desktop computers, tablets or smart phones. Easy custom configuration for admin users. We can program custom analytics for your specific needs. 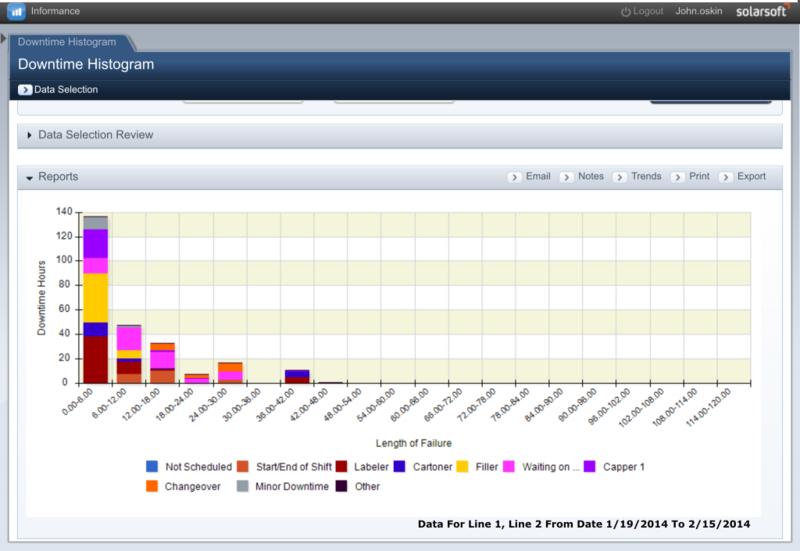 Date range reporting includes, YTD, MTD, WTD, today, previous week, previous month. Our visible alert system can keep workers and managers in the know, letting them fix issues quickly. The next-gen Andon can be integrated with systems such as Epicor Manufacturing Execution Systems (MES). The factory media center can also be linked with your EMI system so production can be seen in real-time by your everyone on the floor. Configured to display for a single line, multiples lines, or a designated area. Using our API, connect your existing lights with our digital Andon software to get the best of both worlds. Lights alert work floor when issues arise, while the next gen platform sends alerts to operators, engineers, via digital signage and SMS alerts—all while gathering analytics to help improve OEE over time. Data is your biggest ally when trying to improve operations. 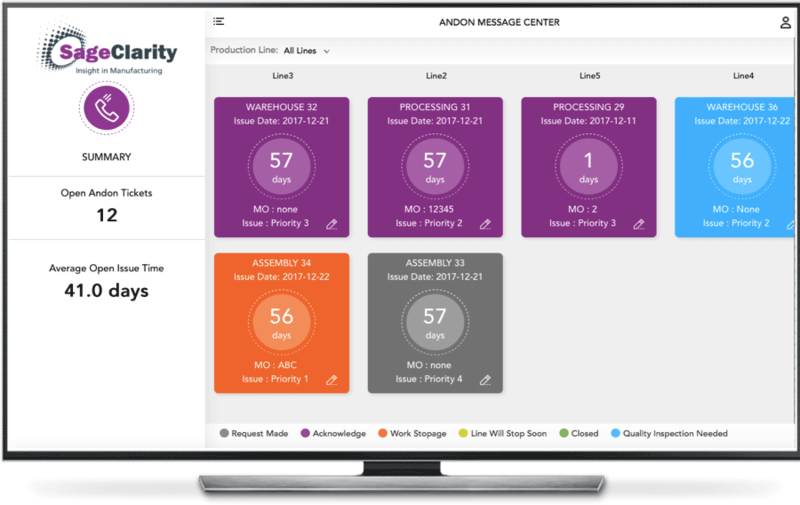 Our Andon software goes beyond traditional systems to log all alerts and compile reports that can be integrated with your MES or ERP systems. You’ll be able to go beyond logging downtime to knowing what line was down and why—across your entire enterprise. Emails will be sent to the appropriate people based on the type of alarm—safety, quality, maintenance—and the location of the alarm. Customize your Andon notification settings based on the parameters that you need to track. 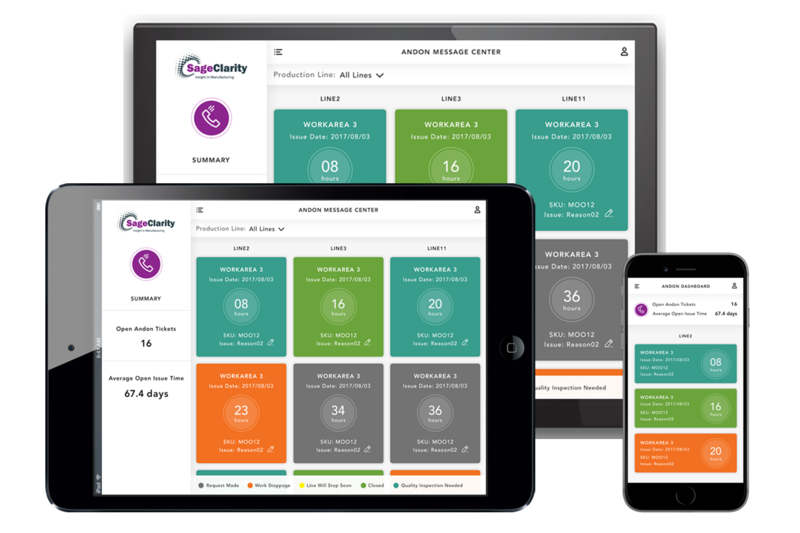 Automate your alerts and improve your Takt time. Operators are busy. Our andon tickets are automatically triggered. Our Andon system can keep you in the know. With our automated alerts, you won’t have to be on the factory floor to see a production line stoppage. 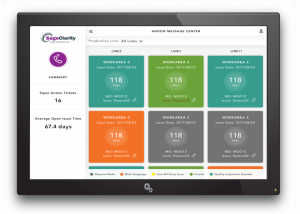 Learn how next generation Andon software will improve production floor communications and quality management. 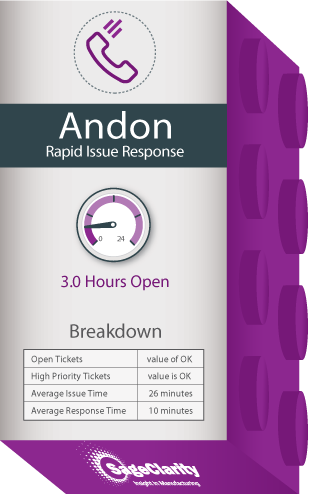 Which Andon package are you interested in?